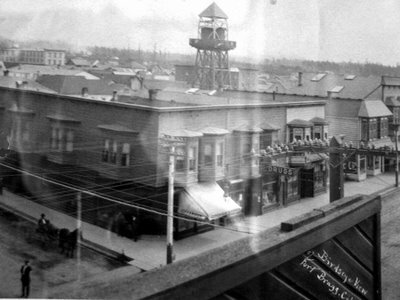 Photo taken in 1911. Corner of Redwood and Main. Going for a walk this morning was like jumping into a cold lake. I really rather not yet some guilty part of me kept whispering, “sissy”. Oh, the hell with it, threw the covers off, struggled into my clothes, winter coat, gloves, hat and out the door. 28 degrees! Clear as a bell, air like ice with a hint of alder smoke! Magic! As I’m striding along through the dark I get to thinking about the woman at the city council meeting who said “Redwood Avenue” when talking about access to the proposed Coastal Trail. At the time I thought, wrong, it’s “Redwood Street”; all the tree names are streets but as I returned home on Franklin Street I checked and by golly, she’s right. It is Redwood Avenue. Fern Avenue. 4 tenths of a mile long. Minnesota Avenue. North and South. East and West. Maybe a third of a mile all together. 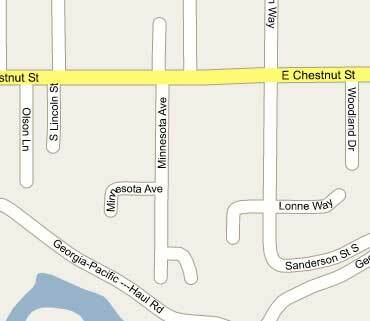 My dictionary says an Avenue is “a wide street or main thoroughfare”. 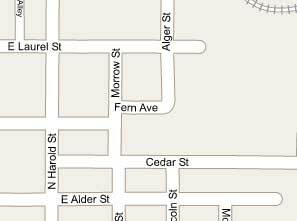 I've never noticed Fern Avenue even though it was just last week I saw that Morrow made a little jog at Cedar and continued on South. Perfect walkies weather. You lucky Bugger.